Quickly format your product feed, without prior technical knowledge. Adapt it to the requirements of various marketplaces (Amazon, Cdiscount, Wish, eBay…). Easily organise your catalogue (prices, titles, descriptions …) and enrich your product sheets to boost your sales. Follow the sales trends in each marketplace and analyse your profitability by product with our performance dashboard. 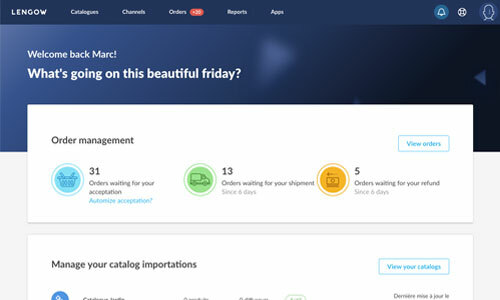 Lengow centralises all marketplace orders for you. Carry out all order actions in our platform (automatic acceptance of orders, launching the shipment of the parcels, …). We help you to be more reactive when it comes to your logistics. Save time by optimising your parcel delivery and make your customers happy. Thanks to the Lengow API, orders are integrated directly into your tools. 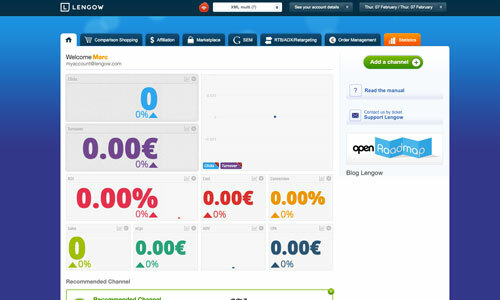 Exchange data between marketplaces, Lengow and your e-commerce site’s backoffice. The one place to manage your inventory accross all marketing and sales channels. The data is also synchronised in your various tools, from your e-commerce solution to your CRM. You can set up distribution rules to avoid publishing products that are out of stock ensuring better results on marketplaces. 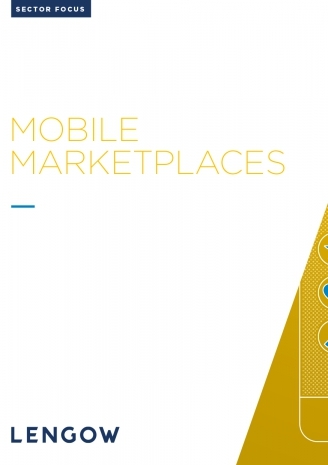 How to use a marketplace to boost sales? 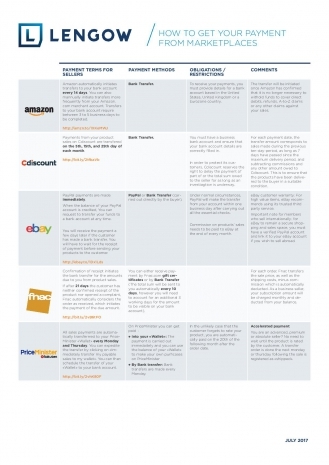 Why use a multichannel management tool to sell in marketplaces? How to use marketplaces to cross borders?